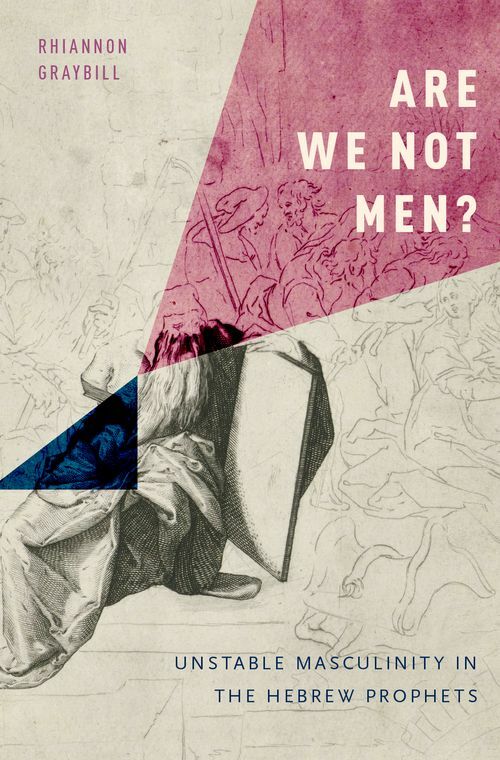 Are We Not Men? offers an innovative approach to gender and embodiment in the Hebrew Bible, revealing the male body as a source of persistent difficulty for the Hebrew prophets. Drawing together key moments in prophetic embodiment, Graybill demonstrates that the prophetic body is a queer body, and its very instability makes possible new understandings of biblical masculinity. Prophecy disrupts the performance of masculinity and demands new ways of inhabiting the body and negotiating gender. Graybill explores prophetic masculinity through critical readings of a number of prophetic bodies, including Isaiah, Moses, Hosea, Jeremiah, and Ezekiel. In addition to close readings of the biblical texts, this account engages with modern intertexts drawn from philosophy, psychoanalysis, and horror films: Isaiah meets the poetry of Anne Carson; Hosea is seen through the lens of possession films and feminist film theory; Jeremiah intersects with psychoanalytic discourses of hysteria; and Ezekiel encounters Daniel Paul Schreber's Memoirs of My Nervous Illness. Graybill also offers a careful analysis of the body of Moses. Her methods highlight unexpected features of the biblical texts, and illuminate the peculiar intersections of masculinity, prophecy, and the body in and beyond the Hebrew Bible. This assembly of prophets, bodies, and readings makes clear that attending to prophecy and to prophetic masculinity is an important task for queer reading. Biblical prophecy engenders new forms of masculinity and embodiment; Are We Not Men?offers a valuable map of this still-uncharted terrain. Rhiannon Graybill is Assistant Professor of Religious Studies at Rhodes College in Memphis, TN. She holds a PhD in Near Eastern Studies from the University of California, Berkeley.